Based on the real memoirs of Mr. Watson's grandfather, this story follows Kid Clay through the Old West in search of a cowboy adventure. 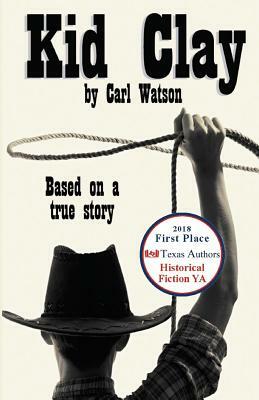 During his escapades, Kid Clay leaves his comfortable Kentucky home at the age of fifteen and sets out to discover what it's like to be a real cowboy. During this time, he encounters many colorful characters such as Indians, Buffalo Bill, and members of the Dalton Gang. Along the wagon trail, he encounters typhoid, cattle rustlers, stampedes, bank robbers, and a beautiful Indian maiden. Kid Clay has the determination and bravery he needs to survive, but as he makes his way along the trail, he discovers that the West is beginning to change. That's when he makes a momentous decision that will affect the rest of his life. Was the West more than Kid Clay bargained for?